The findings of an inquiry into the handling of an abuse allegation should be made public, Jersey’s dean has said. In 2008, a woman, known as HG, made a formal complaint about abuse by a Jersey churchwarden. The inquiry into the handling of the complaint recommended no disciplinary action should be taken against any Jersey Anglican clergy member. The report has been kept confidential on legal advice and HG said its publication could cause her harm. The Very Reverend Bob Key said closure was now needed. Mr Key was suspended for two months in March 2013 for allegedly failing to investigate properly the treatment of the 26-year-old woman. He was reinstated after apologising for anything he might have got wrong in the handling of the abuse complaint. The inquiry into what happened, led by Dame Heather Steel, was commissioned alongside a wider review into safeguarding policies being undertaken by Bishop John Gladwin. Mr Key told BBC Radio Jersey: “I think we need to have the report so all the immense stress of the last couple of years can simply be put to bed. “When it comes out I have no doubt it will be in the media for a very short period of time and we can all move on. 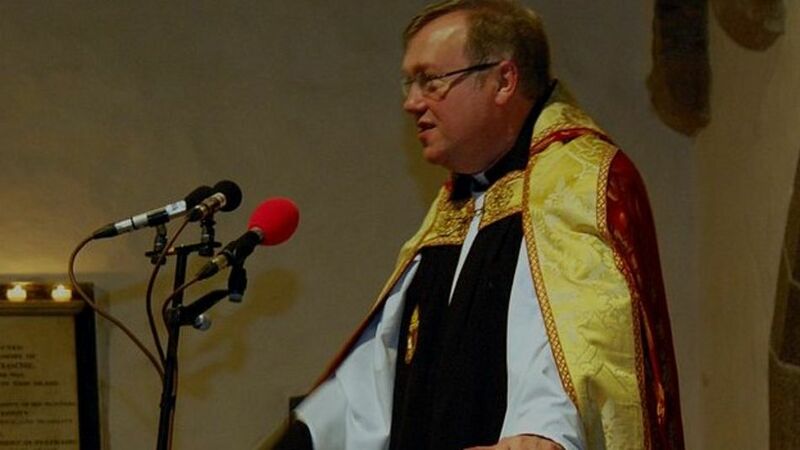 In January, the Jersey Deanery synod said the report should be made public in the name of Christian reconciliation, so the episode could be put to rest and the Church could move forward. The saga resulted in the Channel Islands ending their 500-year relationship with Winchester and their moving to the Diocese of Canterbury as part of an interim arrangement.